Home  My Gleanings Page  Illustrated Issue - Page 7. Illustrated Issue - Page 7. Short Sketches of Our Prominent Preachers. The Methodist Episcopal Church, South, is fortunate in having so clear headed and energetic an organizer and pastor as Mr. Joiner. Since his ordination by Bishop Wilson in 1885, his work in the ministry has been more than successful. 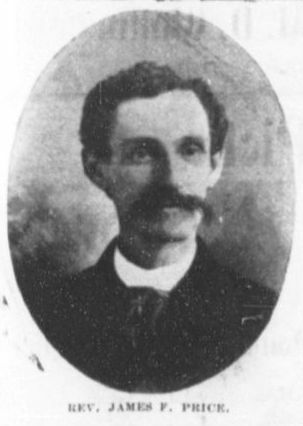 Of a pleasing and commanding presence, a bright and forcible speaker, alive at all times to the great questions of the day, in so far as they relate to religious matters, Mr. Joiner, since taking up the Marion pastorate two years ago, has received 87 members, has wiped out an indebtedness of $700, and added a handsome parsonage at a cost of about $1800. With a present membership of over 200, a flourishing Sunday School and all the adjuncts of religious training the Methodist church, South, in this city is an important factor in the Louisville conference. Services every Sunday morning at 11 a. m. and 8 p. m. Sunday School 9:30; Prayer meetings every Wednesday evening at 7:30; a cordial welcome. The Rev. Mr. Price, in charge of the Cumberland Presbyterian church, a handsome brick edifice, was ordained in 1881. His almost entire life has been engaged in teaching and preaching. His success in church extension is evidenced by the seven church buildings he has been the direct means of erecting. Mr. Price has served eight congregations as pastor during the 23 years of his ministry, and has been a leader in all the work of his church, both local and general. Regular services are held in Marion on the first and third Sundays of each month. Prayer meeting each Monday evening. Sunday School at 9:30 o'clock every Sunday morning. The First Presbyterian church of Marion of which Rev. Charles R. Montgomery is the pastor, was one of the earliest churches organized in the city. The church building is a handsome brick structure, situated on the corner of College and East Belleville streets, and has a membership of 140. Its Sunday school under the superintendance of Mr. John W. Blue, meets every Sunday morning. It has a full corps of teachers and a very [l]arge number of scholars. The Rev. Mr. Conway is pastor of the Baptist church. He graduated from the Southern Baptist Theological Seminary with high honors in1888, and was ordained in 1890. Mr. Conway has served nine churches and built two. The first Baptist church in Marion, now under his care, was organized eighteen years ago and at present has 130 members. Its growth has been most satisfactory. The contributions of the church have increased along all lines and its finances are placed upon a thoroughly business basis. The Christian church was organized Feb 14, 1898, with 14 members. It has increased its membership 250 per cent. Elder J. W. Flynn is the pastor in charge. the Sunday School is a source of great strength to the church. It is under the direction of Prof. Charles Evans, assisted by a devoted band of teachers. Regular services are held on the first and third Sundays of each month. Prayer meeting every Tuesday night. A cordial invitation is extended to all to attend the services. The advance made in the grinding of wheat and corn during the past few years is well illustrated in the superb machinery recently installed by the Marion Milling Co., in their large plant directly on the line of the railroad. This company is a consolidation of the milling interests of this city, which, previous to this season, were two in number. 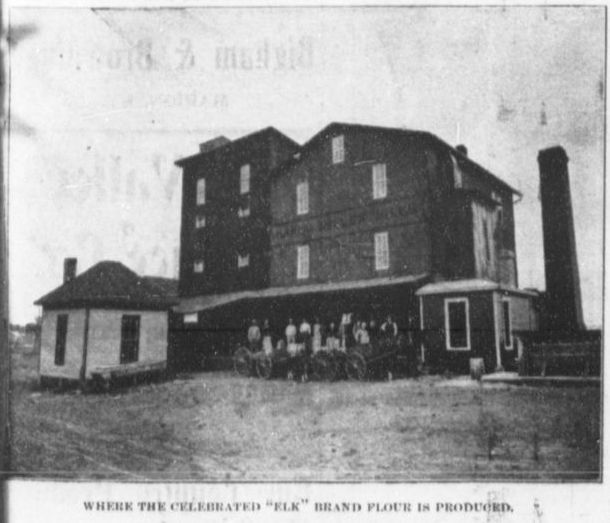 Incorporated with a capital of $20,000, a capacity of 200 barrels of flour daily, storage capacity for 40,000 to 50,000 bushels of wheat and corn, and with ample means to increase their business to any desired extent, the Marion Milling Co., occupies a very enviable position. Its daily output is almost entirely consumed in Marion and the surrounding country, although its "Elk" brand of flour is favorably known from Evansville, Ind., to Paducah, Ky. The stockholders of the company are Dr. J. H. Orme, Dr. J. R. Clark, Sherman Franklin, Albert Dewey, D. B. Kevil and Albert McConnel. Selling Prices---What Our Products Bring in Market. Barytes, $8.00 to $17.00 per ton. China clay, 8.00 to 17.00 per ton. Feldspar ground, 8.00 to 9.00 per ton. Fluor spar, 8.00 to 18.00 per ton. Yellow ochre, 9.00 to 10.00 per ton. Metallic brown, 10.00 to 19.00 per ton. Glass sand, 2.75 per ton. Quartz ground, 6.00 to 8.00 per ton. Carbonate zinc, 5.00 to 17.00 per ton. Zinc blende, 30.00 to 35.00 per ton. Galena (lead), 40.00 to 45.00 per ton. Fire clay, 4.25 to 6.00 per ton. Slip clay, 5.00 per ton. Flint pebbles, 11.00 to 14.00 per ton. Mines first opened last year. Sunday and Other Services for the Summer. Cumberland Presbyterian, Rev. 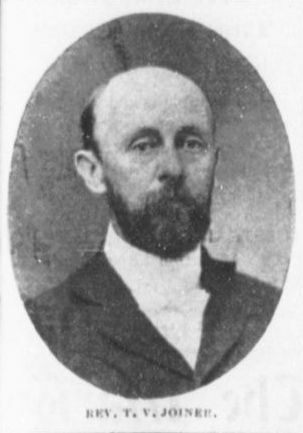 J. F. Price, Pastor. Preaching morning and evening First Sunday in each month. Prayer meeting every Monday evening. Sunday School every Sunday morning 9:30 o'clock. Presbyterian, Rev. Chas. 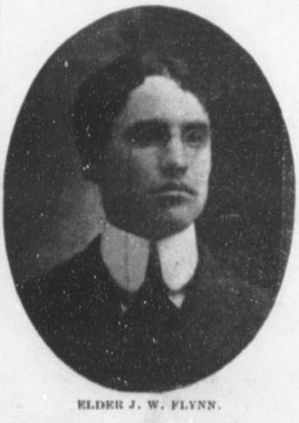 R. Montgomery, Pastor. Preaching every Sunday morning and evening. Prayer Meeting every Wednesday evening. Sunday School at 9:30 o'clock. Christian, Elder J. W. Flynn, Pastor. Preaching every First and Third Sunday morning and evening. Prayer meeting each Tuesday evening. Sunday School at 9:30 a. m.
Baptist, Rev. 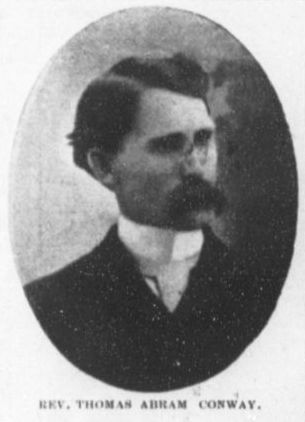 T. A. Conway, Pastor. Preaching each Second Saturday evening and Second Sunday morning and evening. Prayer meeting every Thursday evening. Sunday School at 9:30 a. m.
Methodist, Rev. T. V. Joiner, Pastor. Preaching every Sunday morning and evening. Prayer meeting Wednesday evenings. Sunday School at 9:30. Bigham Lodge No. 256, F. & A. M. Regular meeting Saturday night before the full moon in each month. P. C. Stephens, W. M.
Crittenden Chapter, No. 70, R. A. M. Regular meeting Saturday night after the full moon in each month. W. D. Cannan, H. P.
Wingate Council, No. 35, R. & S. M. Regular meeting Second Monday night in each month. J. G. Gilbert, T. I. M.
Knights of Pythias, Blackwell Lodge, No. 57. Regular meeting Second and Fourth Friday evenings from April 1st to Oct. 1st; every Friday evening thereafter during the year. H. A. Haynes, C. C.
T. J. Clifton, K. of R. and S.
A. O. U. W., Marion Lodge, 60. Regular meeting First and Third Monday evening in each month at Masonic Hall. A. M. Hearin, M. W.
Modern Woodmen, rosewood Camp, No. 22 meets Second and Fourth Tuesday evenings of each month. M. A. 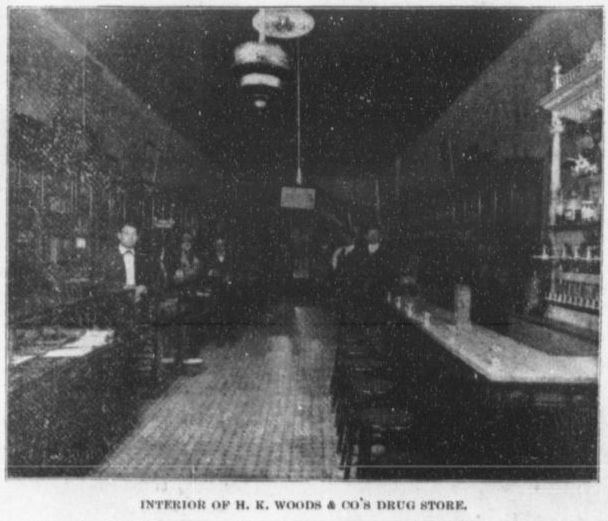 Wing, C. C.
The Interior of H. K. Woods & Co's Pharmacy. While one has no especial desire to swallow either drugs or a preparation from then, yet if one has to, he always wants an assurance that they are the pure article. 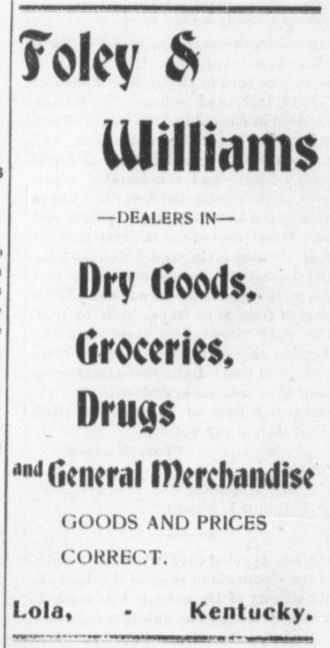 So many substitutes are offered by so many would be druggists, that it is a public service for a newspaper to tell its readers where substitutes are not in order. A glance at the interior of a mode pharmacy is herewith given. Messrs Henry K. Woods & Co's take a personal pride in absolutely knowing that the articles called for in a physician's prescription are put up as written. The sick take no chances. If it is a rare foreign drug it is supplied. In short the firm are druggists in every sense of the word. Rare perfumes, imported toilet necessities, Parisian cosmetics, London leather goods, in fine all that is best in their distinctive line is carried in stock at all times. A handsome soda fountain graces the entrance, crushed fruits, the purest of syrups, frappes and sherbets and creams--all the frozen delicacies all the time. Source: Crittenden Press. 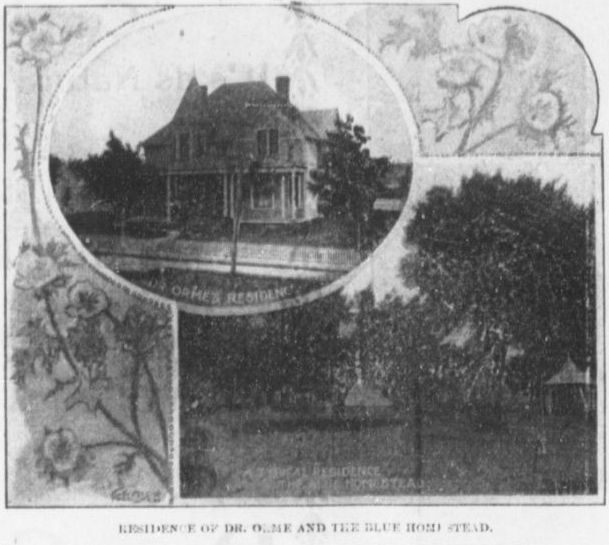 (Marion, Ky.) 1879-1907, August 16, 1894, Image 8 - Chronicling America - The Library of Congress.